The Popple spotted some kale in the kitchen. 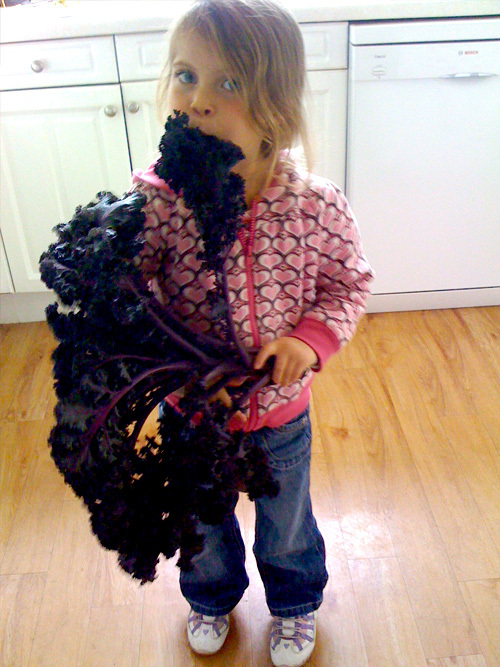 Raw foodists love kale because it’s very nutrient dense and tasty. Some squish it with avocado and oils, some juice it, some make chips out of it. Evie Popple Cake just eats it.